It is hard to believe, but our children have been in school almost 100 days now. And, if your school is anything like mine they have a big party celebrating the 100th day of school. 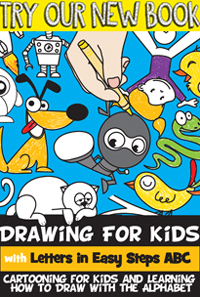 For the younger kids it is sometimes difficult for them to grasp just how long 100 days are. A great way to teach them how large 100 of something is….. is to actually show them 100 of something. That is what today’s craft is all about. I’m going to show you how to make Paper Chains for the 100th Day of School. 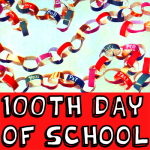 Ideally, this craft should be started on the first day of school and add a chain piece to each other each day of school until you reach 100. But, if you haven’t started that already you can do this craft on the 100th day of school as well. So, grab the materials needed and let’s get started. Depending on when your school district started school the 100th Day of School will be coming up quickly. 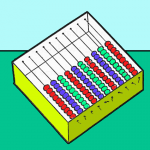 Now, is the time to start planning what kind of crafts you are going to do to celebrate the 100th Day of School. 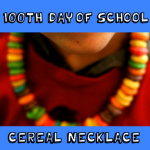 I’m going to show you an easy, and tasty, craft for you to do… Today I’m going to show you how to make a Fruit Loop Necklace perfect for the 100th Day of School. Each child will get 100 of these colorful circles of cereal and they will string them to make a necklace. The kids will love making it almost as much as they will love eating it. So, let’s get started.